Kim Dotcom, founder of the file hosting service Mega, is preparing to launch an encrypted video-calling and chat service that will shield its users’ communications from government surveillance. “Mega will soon release a fully encrypted and browser-based video call and chat service including high-speed file transfers,” the entrepreneur known as Kim Dotcom said in a tweet. “No U.S.-based online service provider can be trusted with your data,” Kim Dotcom said in a separate tweet. “They must provide the U.S. government with backdoors,” he said. Facebook-owned WhatsApp also added end-to-end encryption late this year. It’s part of a larger trend of companies seeking to better protect their users’ messages from outside snooping, either by the government or by malicious groups. 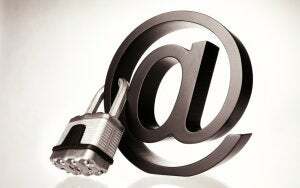 But encryption and other added security measures can also make companies a compelling target for snooping. Tor, TrueCrypt and Tails topped the NSA’s cryptographic “most wanted” list of 2012, according to documents leaked by Snowden.